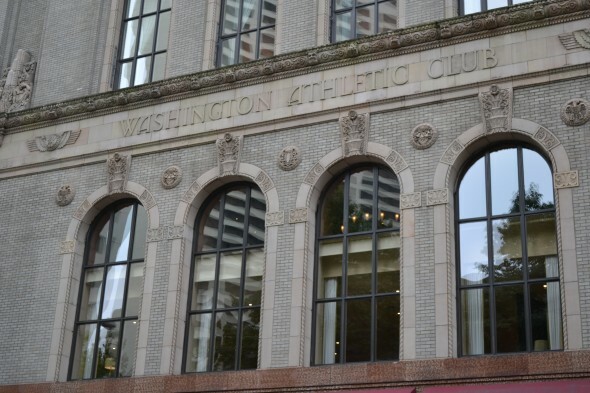 The Washington Athletic Club has played a significant role in the sporting history of the Seattle area, launching numerous athletes into what became historic careers. At 1325 Sixth Avenue at Union Street in downtown Seattle, on the same block as the 5th Avenue Theater, the Washington Athletic Club is working on its seventh consecutive 5 Star Platinum Club of America award. Last year, as it has many times in its history of more than 80 years, the WAC was also selected the best athletic club in the state and one of the top four nationally. The WAC offers athletic and fitness facilities, a wellness center supervised by a fitness concierge, a 25-yard indoor swimming pool on the sixth floor, a full-sized basketball court, a handball court replete with a small spectator’s gallery, a full-service spa, restaurants and sports bars, a library and gift shop. The WAC also houses a 109-room, seven-suite boutique hotel, the Inn at the WAC, above the athletic facilities. Presided over by president and CEO Chuck Nelson, the former All-America placekicker for the Washington Huskies, since Jan. 4, 2012, the WAC is an historic establishment whose remarkable story dates to the Great Depression, and whose contributions to our sporting history have been profound, though not particularly well documented. 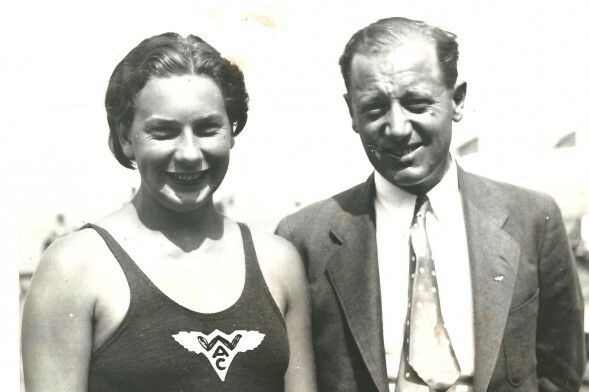 Without foresight and funding by WAC members, swimmer Helene Madison (1913-70) might not have had the opportunity become Seattle’s most successful Summer Olympian. Without the WAC, the 1936 University of Washington eight-oared crew probably would not have traveled to Berlin to win an Olympic gold medal under Adolph Hitler’s nose. 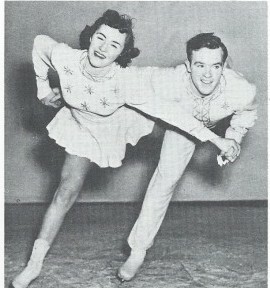 And without the WAC, Karol and Peter Kennedy would not have skated into international prominence two decades later. Even today, Olympic hopefuls with eyes on Rio de Janeiro (2016) train in the facility. Much of the important business of the city has been hashed out and agreed upon inside the WAC’s walls, including the January 1955 decision by several club members to stage a civic spectacular aimed at putting Seattle on the map. That idea morphed into the Century 21 Exposition, aka the 1962 World’s Fair. In an indirect sort of way, WAC members gave Seattle the Space Needle. One of Seattle’s most important institutions, the WAC almost didn’t weather the Great Depression and a cast of early characters in the club’s drama who were all brought down by financial irregularities during one of the darkest economic periods in American history. Not much is known about Noel B. Clarke, except that he moved from Los Angeles to Seattle in late 1927 to speculate in real estate, and that not long after his arrival became exasperated that the city had no single establishment that catered to his diversions and pleasures. If Clarke wanted to play handball, one of his larger passions, he could do so at the YMCA. 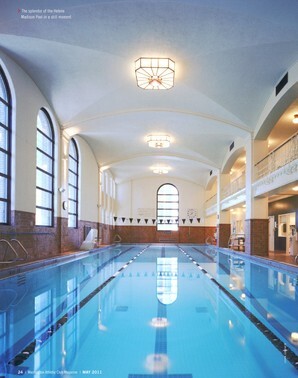 But if he wanted to enjoy a Turkish bath after his exercise he had to walk to the Crystal Natatorium on First Avenue. Neither the YMCA nor the Natatorium served a meal that satisfied Clarke, and the Natatorium didn’t provide barber services. To place a friendly wager or enjoy a smoke, Clarke had to make do with one of Seattle’s several cigar stores, the Internet cafes of their day. Clarke wanted his amenities centralized. He had frequented the posh Los Angeles Athletic Club while he lived there, and knew that one establishment could cater to what he sought. So Clarke conjured an idea to form a club that would be owned by individuals and operated as a business for the benefit of its members, principally him. The only flaw in his scheme: Clarke ran afoul of the authorities. Clarke began by selling memberships in his non-existent club with a goal of attracting 2,000 members, who would collectively borrow from a bank in order to build a posh, downtown club building. To attract members/investors, Clarke opened an office at 416 University Street and spent approximately $7,500 – money he didn’t have — on newspaper advertisements. When the newspapers demanded payment, Clarke engaged in what The Seattle Times described as “questionable real estate activities” to raise the money. According to The Post-Intelligencer, he bilked several widows out of their cash in a bogus land scheme. When the Seattle Real Estate board discovered what he had been up to, it revoked Clarke’s real estate license, forcing him to abandon his efforts to form an athletic club. Clarke, though, had a credible idea. Before his land scheme was uncovered, Clarke had sold nearly 1,000 memberships. Recognizing that value, William D. Comer, president of Puget Sound Savings and Loan and the proprietor of W. D. Comer & Co., an investment securities firm, purchased control of the still-homeless club for $500. By August 1929, plans called for a 21-story building with a $2.3 million construction budget. Five retail storefronts were included at the street level, oriented toward Union Street, with the remainder of the building devoted to WAC-related facilities. Comer hired Sound Construction and Engineering Co. — headed by Henry Lohse and C.C. Hastie – to serve as general contractors. “The Sixth Avenue and Union Street corner is to be the site of the $2 million Washington Athletic Club, that organization acquiring the property through John Davis & Co., last Monday from A.M. Goldstein and Dagg and Derneden. The site previously had been held under a lease. With WAC board chairman Reginald H. Parsons and Seattle Mayor Frank Edwards presiding, groundbreaking took place Dec. 15. 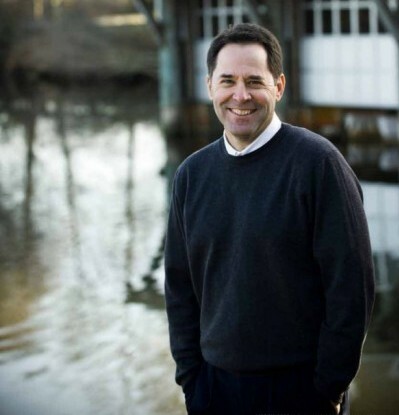 Two weeks later, Comer began soliciting bond sales to finance construction. “The Washington Athletic Club is expected to be completed some time next summer,” The Post-Intelligencer reported. “It will be a magnificent addition to the downtown business district and a distinctive feature in Seattle’s ever-growing skyline. It will have stores along the Union Street frontage, with the club entrance on Sixth Avenue. All of the facilities found in the athletic clubs of eastern cities will be provided, and in addition there will be 122 hotel rooms reserved for members and guests. To that end, the WAC applied for admission to the Pacific Northwest Athletic Association. 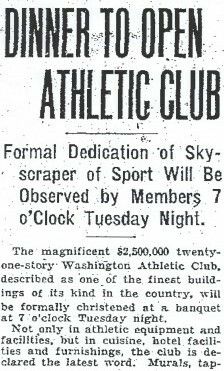 On Oct. 14, 1929, the WAC was admitted, along with Oregon’s Buckman Swimming Club, during a meeting at Portland’s Multnomah Athletic Club. Seattle Time sports editor George Varnell and Darwin Meisnest, the former graduate manager at the University of Washington who had directed fundraising efforts for the construction of Husky Stadium (1920) and Hec Edmundson Pavilion (1928), were elected officials of the PNA, whose purpose was to revive amateur athletics in a variety of sports, including swimming and handball (see Wayback Machines: Genesis of Husky Stadium and Genesis of Husky Stadium II). Three months after groundbreaking (March 2, 1930), the WAC announced its first sponsorship of a local athlete when it agreed to provide funds to send Olympic hopeful Helene Madison to the National Swimming Championships in Miami March 6-9, where she would attempt to set world records in a variety of races. Madison succeeded, setting five world marks in races from 100 to 700 yards, including a 1:20.2 clocking in the 150-yard event that obliterated the record of 1:45 set by Gertrude Ederle before she made her famous English Channel swim (1926). 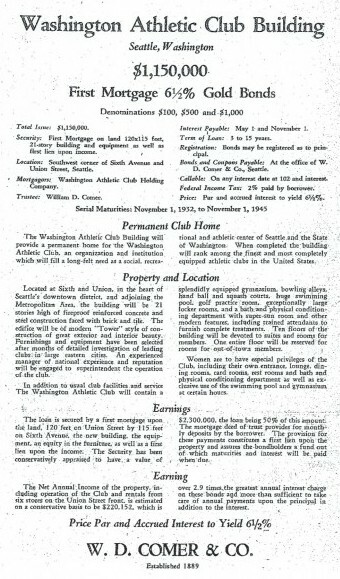 One of the most significant early decisions by the WAC occurred July 21, 1930 during a meeting of the Board of Directors at the Rainier Club in which it approved a plan of to stage annual athletic competitions for the young boys and girls of Seattle. “The WAC favors all types of competitive athletics for the members of the club, this to include handball, squash, swimming, indoor baseball and other such games as draw the interest of the business man,” The Post-Intelligencer reported. That summer, the WAC organized its first track and field team for the purpose of competing in the Dominion Day Games in Vancouver, B.C., an event of considerable importance on the athletic calendar of the time, stocking it with the likes of ex-UW discus thrower Paul Jessup, half miler Eddie Genung and Podge Smith, the 1929 intercollegiate 880-yard champion from Stanford who attended Seattle’s Broadway High School. The WAC also provided funds for Jessup, Genung and ex-Huskies Steve Anderson and Rufus Kiser to compete at the AAU Track & Field Championships in Pittsburgh Aug. 23-25, and the UW entourage turned in one of the most memorable performances in school history. Jessup broke the world record in the discus with a throw of 169-8, bettering the previous record by six feet. Anderson matched the world record in the 120-yard high hurdles with a time of 14.4 seconds, and Genung won the 880 in an American-record time of 1:53.4. WAC member Torchy Torrance, a former baseball player and assistant graduate manager at Washington, who served on the Board of Directors along with P-I columnist Royal Brougham, UW basketball/track coach Hec Edmundson, former UW football player Charles May and Varnell, among others, played a major role in the WAC’s sponsorship of potential Olympians, continuing work he started long before the club’s formation (see Wayback Machine: Roscoe “Torchy” Torrance). Ahead of the 1924 Summer Olympics, Torrance helped raise money to send Augustus Pope, a UW discus thrower, to Paris. Four years later, Torrance assisted in a campaign that financed Edmundson and two of his track athletes at the Olympic Games in Amsterdam. Anderson won a silver in hurdles and Herman Brix a silver in the shot. They would not have made the trip without Torrance’s assistance. Madison’s success in 1930-31, when she went undefeated and set 19 world records (See Wayback Machine: Queen Helene Madison), prompted the WAC lure her coach, Ray Daughters, away from the Crystal Pool on First Avenue in order to ensure she would represent the club (and wear its distinctive “Winged W”) throughout her Olympic odyssey, which culminated in three freestyle golds in 1932 in Los Angeles. 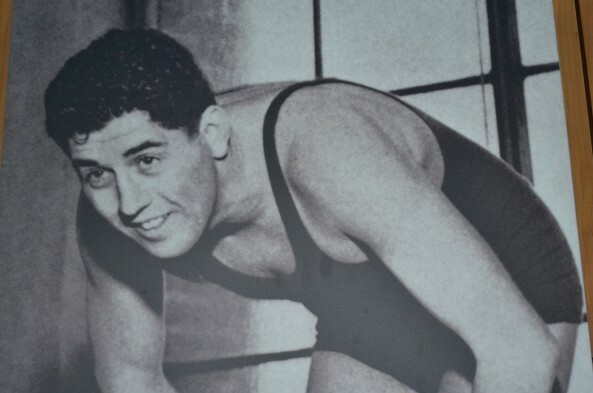 In 1936, the WAC sponsored swimmer Jack Medica, another Daughters disciple from UW, at the Olympics in Berlin, where he won a gold and two silvers. The WAC also helped raised funds to send UW rowers to Berlin. They pulled the upset of the Games, winning the eights and becoming one of the most famous crews in Husky history. 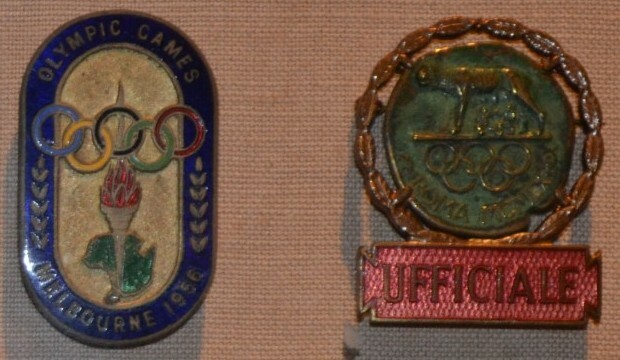 When the Olympics resumed after World War II, the WAC sponsored pairs skaters Karol and Peter Kennedy of Seattle through six U.S. Championships, three North American Championships, six World Championships and the 1948 (St. Moritz) and 1952 (Oslo) Winter Olympics, where they won the silver medal. As late as the 1970s, Torrance and other WAC members generated funds to send Seattle Pacific runner Doris Brown and her coach, Ken Foreman, to Wales to compete in the International Cross Country Championships. Brown won, the first of five such titles in succession, a feat still unmatched by any other woman. None of these sporting feats would have occurred without the WAC and an important intervention by Meisnest early in the Washington Athletic Club’s history. 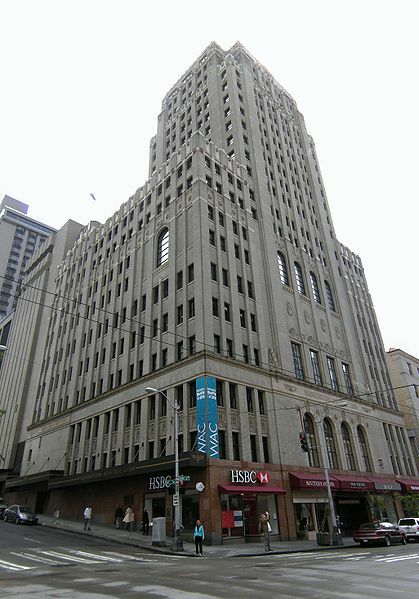 In March, 1928, the Post-Intelligencer reported that a design commission for a 12-story athletic club building had been assembled and that it had selected the architectural firm of Baker, Vogel and Rousch to do the primary work. The commission estimated the cost of construction at $1 million. 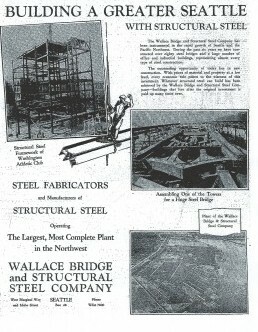 Seattle businessmen Edward B. Waite and Jules L. Charbneau began to promote the project and, after some effort, involved Comer, the new president of Puget Sound Savings and Loan and the financier for various local real estate ventures including the Mayflower (Music Hall) Theater, the Textile Tower, Marlborough House apartments and Olive Tower apartments. After Comer assumed Clarke’s club records and accounts for $500, he signed up 2,600 new members and established the Washington Athletic Club Holding Co., appointing Meisnest, Charles Clise, S.W. Thurston, and Raymond G Wright to the board of directors. 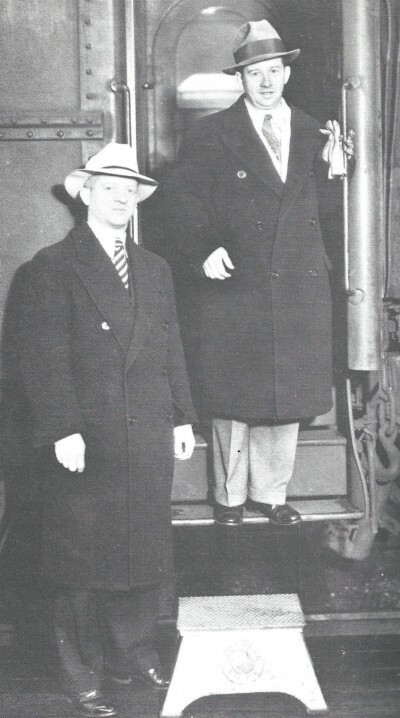 Comer, Ed Campbell, vice president of Puget Sound Savings, and Adolph Linden, owner of KJR radio and a director of the bank, had been instrumental in keeping the WAC going in the early stages, but their business careers sank when the three were brought up on grand larceny charges for misappropriating funds from the savings and loan. Comer, 72 at the time, received a five-to-15-year sentence in Walla Walla prison from Judge Malcolm Douglas. He served four years. With its ornate main lobby and formal entryway from Sixth Avenue, the WAC opened its doors to rave reviews Dec. 16, 1930. The overall design concept, according to an article from Washington State Architecture, was based largely on the lavish Los Angeles Athletic Club. The WAC became the last major high rise completed in Seattle as the Great Depression took hold. Newspapers made particular mention of the men’s library and lounge, located off the lobby, as well as the cigar shop and barber shop. Men’s locker rooms were on the sixth and eighth floors. The men’s sixth-floor locker room opened onto a two-story space at the north side of the building that housed a large swimming pool with a balcony overlooking it at the seventh floor level. A men’s grill/dining room, as well as billiard, game and card rooms, were on the fourth floor. Housed between the fourth and eighth floors were a bowling alley, a two-story gymnasium, handball and squash courts, a golf practice room, boxing and wrestling facilities, exercise rooms with rowing machines and other workout equipment, and a physical conditioning department with massage tables, steam baths and a “sun ray” room. Kitchen and other food preparation and serving facilities were primarily located in the subbasement and on the third and fourth floors. The WAC clubhouse included a separate ladies entrance at the south side of the Sixth Avenue entry. A women’s-only elevator provided access to a separate second-floor ladies lounge, bridge room and third-floor dining room. The majority of the seventh floor was taken up with a large locker room for women and children. Three months later, after the WAC hosted its first major event, the All-City Handball Tournament (Jan. 21, 1931), the doors started to swing shut due to failing economic conditions and a rapid drop in membership. Meisnest, then working as an executive for Pacific Coast Cement following an eight-year stint as the UW’s graduate manager (athletic director), inherited a $38,000 hole, but convinced the National Bank of Commerce to float a loan and the doors stayed open. Working with attorney Raymond G. Wright, the Meisnest brothers launched a new membership drive April 11, 1931, offering annual memberships for $25 plus a $7 monthly fee. More than 800 new members were recruited, pushing the rolls to more than 2,000. By 1935, the Depression still raging, membership had dropped to 1,426 and it required another membership drive, spearheaded by Meisnest and aided by civic leaders, in order for the WAC to continue operations. The club weathered the Depression largely because it had a program for every member of the family. For men: bowling, swimming, volleyball, handball, squash, badminton and monthly “smokers” and speaker’s dinners. For women: A Friday morning lecture series, a course in interior decorating, fashion shows, dramatics, swimming, tap-dancing, calisthenics and bridge luncheons. For children: swimming, boxing, calisthenics, holiday parties and summer programs. Two other factors helped the WAC’s financial picture. Despite a state law forbidding them, slot machines were introduced and became instrumental in paying off the club’s debt. The passage of the Steele Act, which permitted the return of liquor to the state of Washington in 1934 following the repeal of Prohibition, also generated revenue. 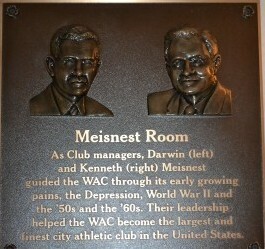 Another key development in WAC history occurred when Torrance, Meisnest and Jack Sullivan, among a handful of others, conceived of the idea of a club within a club. The WAC made significant contributions to the war effort in the 1940s. In the aptly named Victory Center on the seventh floor, women members sewed, knit and made surgical dressings for local soldiers, pilots and sailors. By the time the war ended, WAC members had contributed an estimated nine years of man-hours in support of the troops. The WAC has undergone two significant expansions, a four-story addition in 1955 and an eight-story add-on less than 20 years later. Most recently, the club underwent an extensive remodel that added state-of-the art fitness facilities, a day spa, physical therapy services and restored the Helene Madison Pool and Crystal Ballroom. While the WAC did not become an official City of Seattle landmark until 2009, it has been one of the athletic cornerstones of Pacific Northwest sports since before it opened its doors.